Honeybee dance is sometimes also referred to as waggle dance, but the waggle dance is only one type of dance honeybees do. 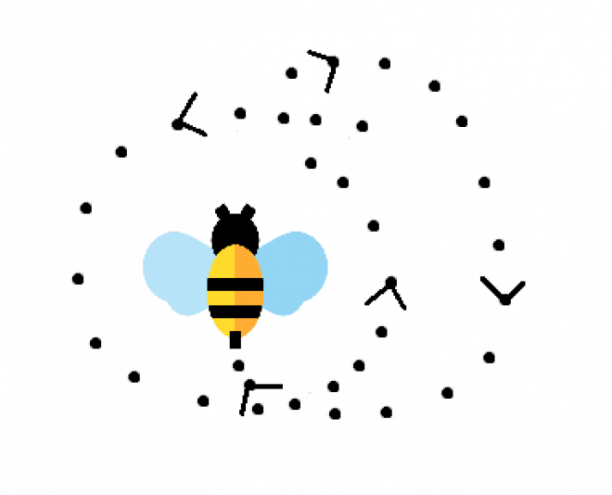 Through dance scout bees let the colony know the distance and location of food and water or the location of a possible new home. In this article, we will go through two types of dances and explain how they work. This type of dance is used for informing the colony about the distance of resources, if the location is closer than 80m. The closer the food source, the more cycles performed. However, if the distance is more than 80m, waggles are added to the round dance. 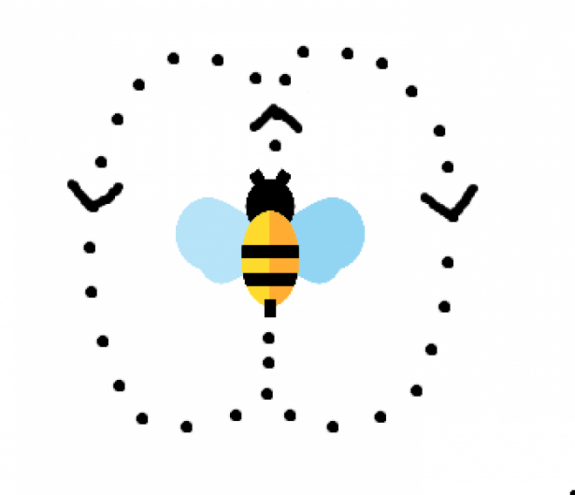 The bee does a round dance by running around in narrow circles and suddenly reversing direction to her original course. The dance may be repeated several times at the same location or some other location. One of the first people who translated the meaning of the waggle dance was Austrian ethologist Nobel laureate Karl von Frisch. The waggle dance is a round dance that also includes tail wagging in the center of a ‘figure of eight’. Unlike the round dance, it communicates both distance and location. The further away the location, the more waggles is added to the dance; the waggle is increased by 1 second for every kilometer of distance. As the bee gets more excited about the location, she starts to waggle more rapidly. Rapid waggle grabs the attention of the observing bees who, if multiple bees are dancing, have to decide which dance will they follow. Competing bee dancers might even disrupt or fight each other to convince other bees to follow their directions. This dance can consist of more than 100 circuits, and each of them has two phases: the waggle phase and the return phase. The direction and distance of the food/water source or a potential nesting site are correlated to the direction and duration of waggle runs. The flowers which are in line with the sun are signaled by waggle runs in an upward direction on the vertical combs. An angle to the left or right of the sun is coded by a corresponding angle to the left or right of the upward direction. Since bees might spend a lot of time in the hive, they have to adjust their dance angle to accommodate the changing direction of the sun during the day. Honeybees live in colonies with many individuals who have to work together, so effective communication is crucial. The dance language of bees has served as a model example of animal communication in biology courses, and it even inspired an experiment with a robotic bee doing the dance. The life of bees is full of wonders and their dance language is one of the most fascinating behaviors found in nature. Melted snow at the roof of hive? Good or bad? 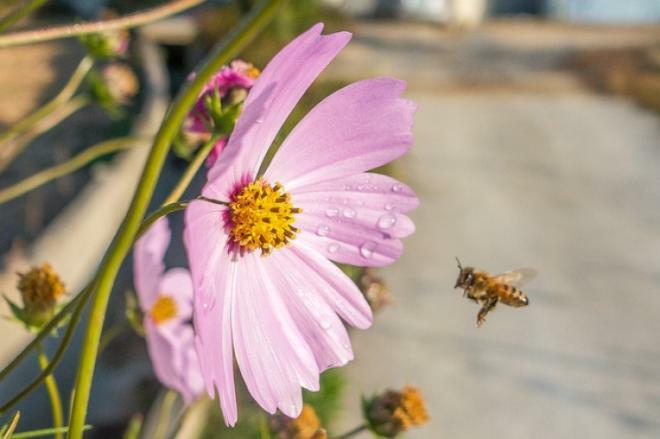 Bee harming pesticides found in 75% of world’s honey! 5 amazing bee houses - Welcome bees! Bees and flowers - a wonderful relationship! Stay informed about facts and news from the bees' world!